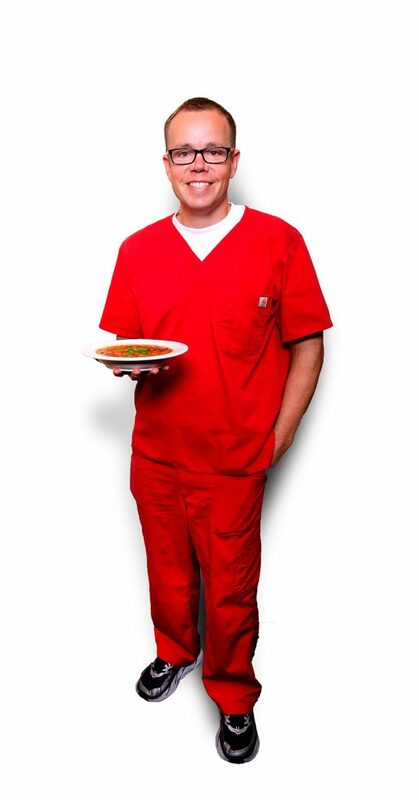 Hospital dietitian advocates the DASH diet to improve cholesterol and blood sugar. Peter Weiss, chief clinical dietitian at AdventHealth Waterman, is leery of diet fads and commercial products billed as healthy eating. “For someone wanting to eat a heart-healthy diet, I recommend the DASH (dietary approaches to stop hypertension) diet,” Peter says, adding it supports improved cholesterol and blood-sugar readings, provides fiber and nutrients for good health, and, by using less salt, aids in keeping blood pressure down. The dietitian says myplate.gov is a great resource to find a healthy meal, which should include a fruit, vegetable, lean protein, grain, and low-fat/fat-free dairy product. In his own diet, Peter aims for variety. The hospital conducts a cooking class called Yum Yum Cooking Club, which provides a great opportunity for anyone looking to follow a healthier diet through increased vegetable and fruit consumption. The next series of classes is scheduled for 6-8pm Feb. 13 and 27, and March 13 and 27 in the Conry Creation Health Kitchen at AdventHealth Waterman, 1000 Waterman Way, Tavares. The classes cost $30 each or $90 for all four. Register by calling 352.253.3685. Preheat oven to 375 degrees. Lightly spray an 8-by-8-inch or 9-by-9-inch ceramic baking dish with cooking spray. Arrange the banana slices in a single layer on the bottom of the baking dish. Sprinkle half the blueberries over the bananas, 1⁄4 teaspoon cinnamon, 1 tablespoon honey, and cover with foil. Bake for 15 minutes, until bananas get soft. In a medium bowl, combine the oats, half the nuts, baking powder, remaining cinnamon, and salt. Stir together. 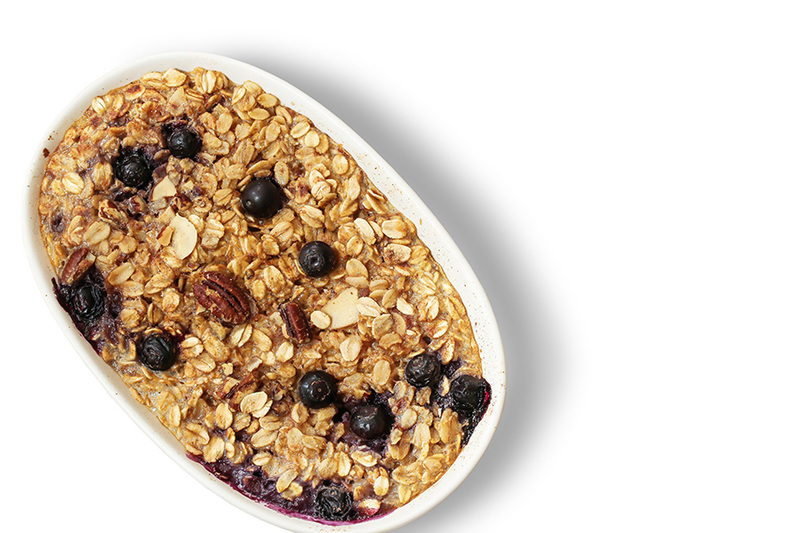 Remove the bananas from the oven, then pour the oat mixture over the bananas and blueberries. Pour the milk mixture over the oats, distributed as evenly as possible. Sprinkle remaining blueberries and nuts over the top. Bake the oatmeal for 30 minutes, or until golden brown. Makes 6 servings. Nutritional info: 212 calories, 6 grams of protein, 5 grams fat. Heat extra-virgin olive oil in a medium stockpot over medium heat. Add butternut squash, celery, and onion, and cook about 3 minutes. Add bay leaf, oregano, nutmeg, salt, and pepper, cook an additional 2 minutes. Cook vegetable stock, add vegetable stock to just cover the vegetables. Bring the contents to a boil, reduce heat, and simmer for 20-25 minutes or until squash is very soft. 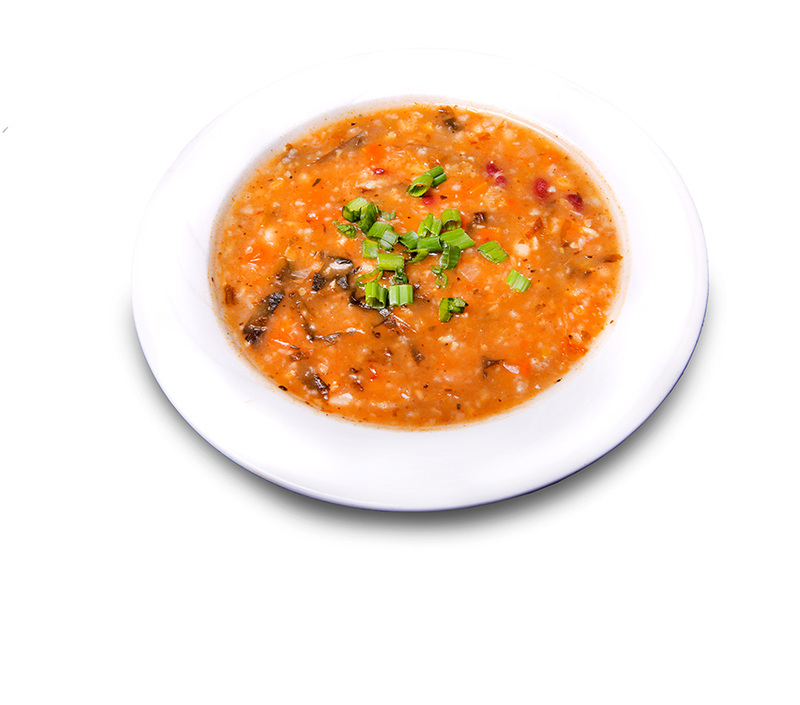 Carefully ladle soup into a blender, puree until smooth. If necessary, strain through a fine mesh strainer to remove squash pulp. Return strained soup to pan and heat to serve. Makes 6 servings. Nutritional info: 51 calories, 1.3 grams protein, 2.2 grams fiber.